Billy anticipates diversifying his tobacco and tomato operation with a variety of produce in future years. The first step is to acquire his own drip irrigation system and plastic laying equipment and boost production of tomatoes. He is currently relying on NC A&T equipment that 10 farmers share. 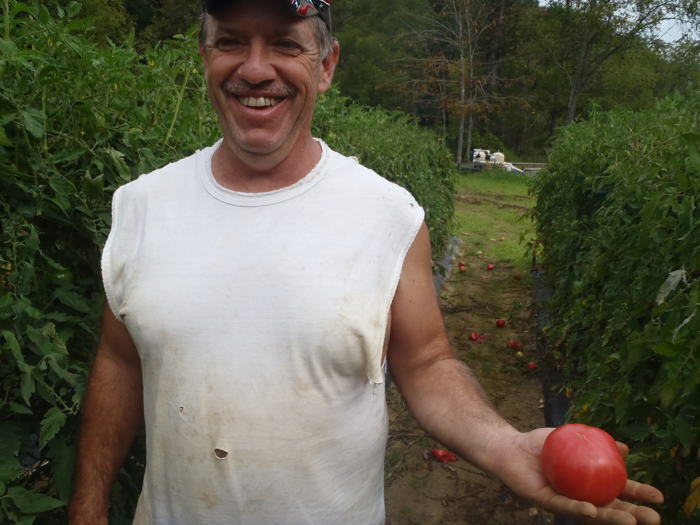 He expects an increase in yield, better quality tomatoes and a savings in labor, which will allow him to try other crops. He foresees experimenting with potatoes, peppers, eggplant, squash, cabbage and cucumbers. Billy packages his produce with Yancey Grown labels, and sells to Ingles, five local produce stands, two local restaurants and the Greensboro Farmers Market.